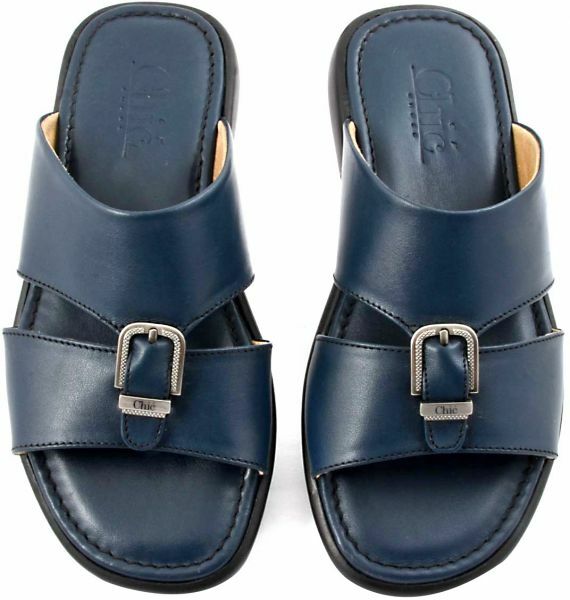 A blend of comfort and tradition, this pair of blue Arabic sandal from chic shoes is an excellent choice to lend a smart update to your little boy' s casual outfit. Made from leather material, promises snug fit and cutout sides for good air ventilation. Let him match them with Emirati kandura to complete his adorable look. Nappa leather upper material , cozy suede leather inner for comfort wearing . Rubber outsole for extra grip on ground . Classy buckle embellishment with Chic logo.